New Look for KHC's Website and eGrams! Kentucky Housing Corporation (KHC) has $3 million available in MRB, Special Funding, for active or non-active duty veterans at a 2 percent interest rate, fixed for 30 years. This special funding program is available on a first-come, first-served basis starting today, Wednesday, September 6, 2017, with new reservations beginning at 10 a.m. Check out the program flier, special message from Governor Bevin, and see the press release. Fannie Mae will require the UCD XML file for all conventional loans with Note date on or after September 25, 2017. KHC will complete the UCD submission for TPO Lenders. Both Delegated and Correspondent Lenders will complete their own submissions and provide a copy of the successful UCD Findings Report in the electronic uploaded Closed Loan File in order for the loan to be purchased by KHC. KHC's program guides have been updated with these changes. KHC's Compliance Income Calculator has been fixed! Totals are now flowing down to the bottom of the calculator. The MCC Income Limit has been added at the bottom of the calculator totals as a reminder to use the most restrictive income when evaluating compliance income. 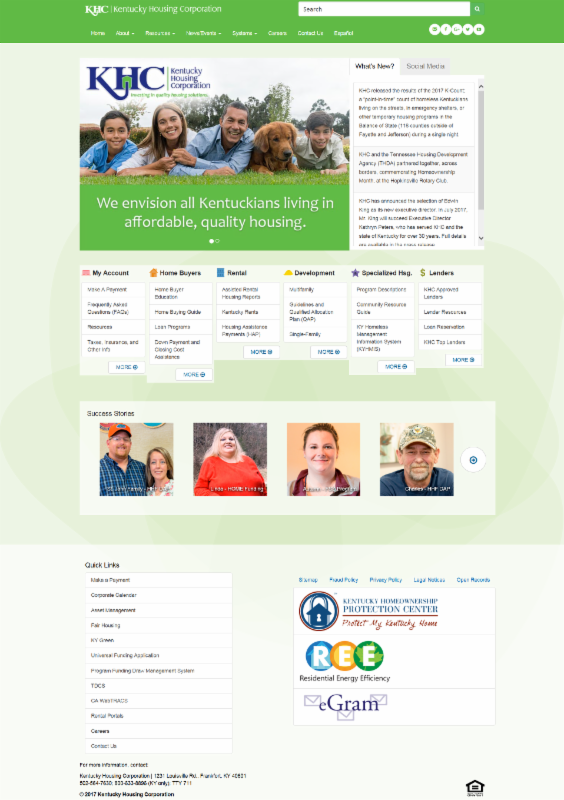 We are making some changes to our website, www.kyhousing.org, which is getting a fresh new lo ok - it will be easier to read and includes added functionality to better meet your business needs. Better yet, if you bookmarked pages on KHC's current website, your bookmarks will still work! The new website will be launched on Friday, September 15, 2017. Register for eGrams to get up-to-date announcements. Stay connected with us on social media and follow us on Facebook, Twitter, LinkedIn, and YouTube. If you have any questions about the website, please complete the form on the Contact Us page. We will continue to expand our resources and look forward to staying connected with you. Save the date for Tuesday, October 3, 2017, for the second annual MBAKY Compliance Seminar. The MBAKY education committee has put together another valuable and timely agenda of nationally recognized speakers, discussing critical topics for the industry in 2017! This meeting will be at the Embassy Suites in Lexington, Kentucky. Registration will begin at 8:30 a.m. with presentations beginning at 9 a.m. Download and complete the registration for Compliance Seminar.